The Builders Association of the Twin Cities (BATC) put on a great red carpet Awards Gala, last Thursday, to honor its top builders and trade partners for their excellence in the home building industry. During this event, Homes by Tradition was presented with the coveted 2013 Reggie Award(SM) for the Parade of Homes Westfield Design located in Spirit of Brandtjen Farm (Lakeville, MN). The 45th Annual Reggie Award(SM) was selected by a panel of other builders and professionals within the in the industry. Each home was judge on a series of categories based on design, construction quality, and value of the homes. This fall, a total of 78 homes were entered. Our trade partners, Designed Cabinets and Southern Lights took home the Trillium Award(SM) for their contribution on the Westfield. The Trillium Awards(SM) recognize the partnership between the builder and their suppliers in creating masterpieces. 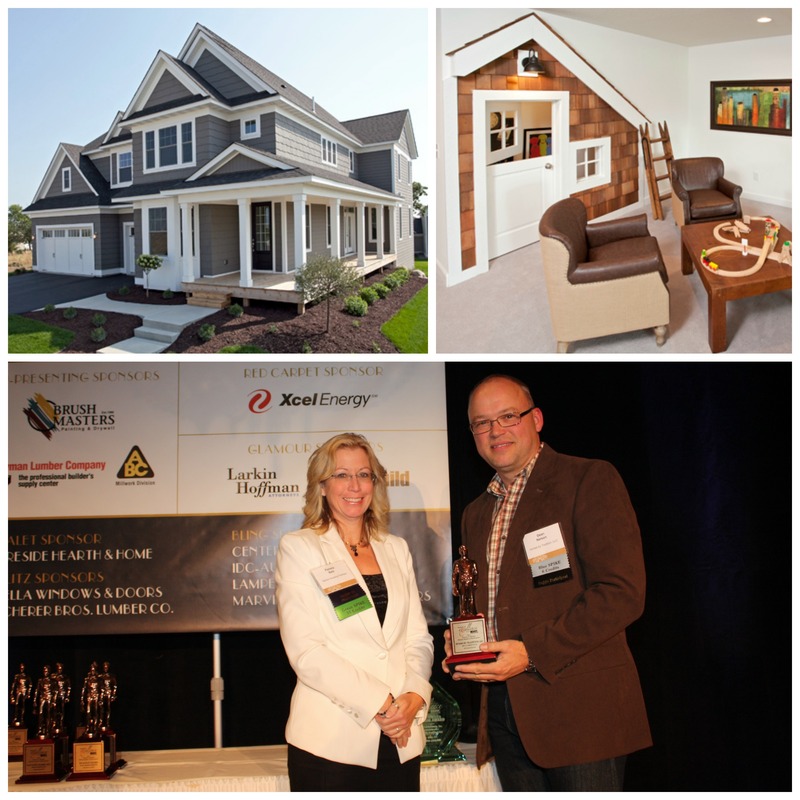 Last year, in 2012, Homes by Tradition was awarded the Reggie Award(SM) for our Green Dream Home custom design located in Golden Valley. A big thank you to everyone who contributed in making this Reggie Award(SM) winning home a great architectural design and structure.